Still a healthy city of about 40,000 people, Caltagirone has been home to human activity since prehistoric days. The name comes from the Arabic “qal’at-al-ghiran”, or “Hill of Vases”, which serves as an indication of how tightly connected to pottery the town has always been. 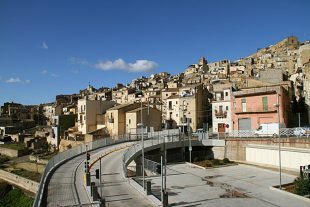 Caltagirone was completely destroyed in the 1693 earthquake that leveled much of eastern Sicily. But like Noto, it was rebuilt in grand style, with a heavy emphasis on Baroque architecture. 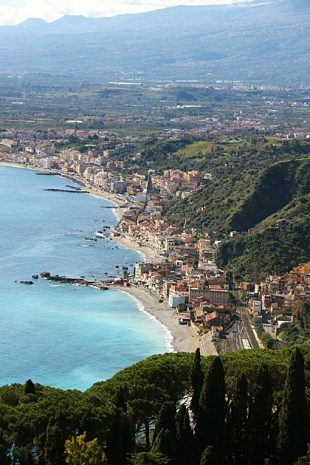 Set in the mountains just ten miles east of Palermo, the town of Carini enjoys a privileged view towards the sea. 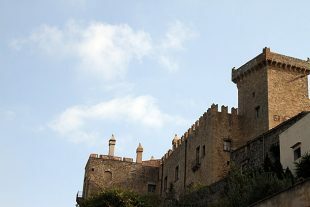 With a population of only 35,000 and a world-famous castle as its main attraction, it sounded like a nice, easy escape from city life, and we chose a Wednesday morning to explore it. Before we moved to Sicily for 91 days, I didn’t know that there was actually a town called Corleone. I had assumed that the name was invented by Mario Puzo, who wrote The Godfather. 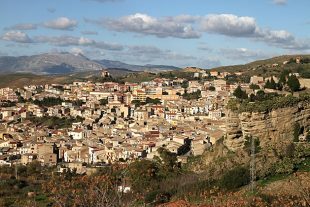 So I felt a thrill upon discovering that the town actually does exist, just an hour from Palermo, and that it indeed has a past strongly identified with the Mafia. It was just a matter of time before we visited. My name is Michael, after all. 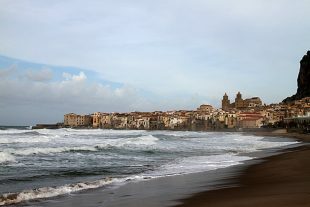 Cefalù numbers just 13,000, but its population balloons in the summer. 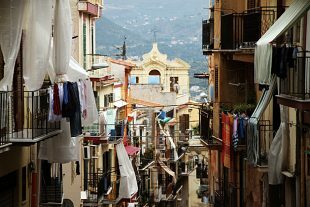 The town is one of Sicily’s finest beach resorts and attracts sunbathers from all over Italy and Europe. From what we’ve heard, it’s unbearable when crowded. And although we found the streets empty in December, the emphasis on tourism was abundantly clear. €3 cappuccinos and stores hawking magnets and postcards to phantoms.